Are you looking for reliable and affordable landlord cleaning in London? 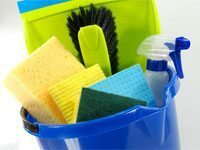 Regardless whether a home is dirty, messy or clean as well as sanitised will certainly impact someone’s determination about hiring or purchasing. Estate agencies and private landlords desire to maintain their properties by hiring a reliable and professional cleaning company to take care of the properties to look clean and eye-catching. Fast End Of Tenancy Cleaning has established a great track record for providing high-quality landlord cleaning London. We understand the demands and requirements of quite a few letting agencies and landlords and we generally strive to surpass them. The focused teams of professional cleaners are fully trained, vetted and experienced. We offer a reputable landlords cleaning in London. We intend to provide all cleaning materials and equipment for the cleaning visit. Fast End Of Tenancy Cleaning can make usage of only professional cleaning components that are environmentally and animal-friendly. We would be delighted to be your professional and trustworthy provider. Contact us now for a free quote on 020 3912 1192.